I have heard some ones complaining that setting up a Webpack + React project is not an easy job. It’s only partly true. Webpack is not well documented at this moment, and has many powerful features and plugins. This makes configuration on Webpack seem difficult to new developers. To make things even worse, there are tons of ‘starter kit’ projects over there, most of which are lack of maintainance. Indeed, it is super easy to setup a brand new Webpack + React project using Yeoman. 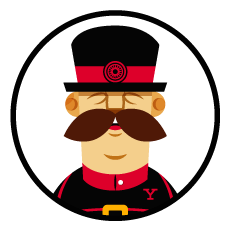 Yeoman is a scaffolding tool for web developers. With diffrent generators we can generate different kinds of web projects quickly by lines of command. Thanks to generator-react-webpack, after answering some questions from yo you will get your project setup in seconds. Also this generator can help generate React components via command line.